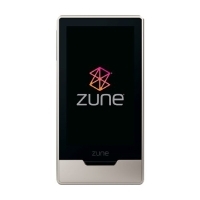 For readers in the United States, Microsoft have released a Zune handheld player with a built-in IBOC receiver. Online retailers such as Amazon stock two versions, one with 32 Gb of memory and another with 16 Gb. Remember the good old days when you could casually pack your transistor radio into a suitcase and know for sure it would work at your destination? Not any more! There is a bewildering assortment of systems that can deliver "digital radio". If you're lucky, you'll live in a country where you only need to buy one kind of receiver, but there are some countries where it is possible to receive more than one system. Retailers with low headline prices can often have higher delivery charges. Comparison websites usually list the lowest headline price first, but the best deal may be lower down the list. DAB started life as a European research project, Eureka 147, and is sometimes referred to as such, since, if you're pendanticly inclined, ALL the systems on this page are one form or another of "digital audio broadcasting". Nowadays, the initials DAB are commonly understood to refer the family of technical specifications and documents held by the European Technical Standards Institute, the original specification being ETSI EN 300 401. DAB+ and DMB are developments of the initial standard. 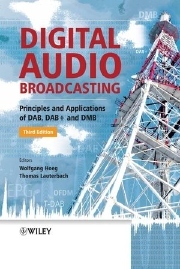 DAB is commonplace in the UK as well as in Denmark, Norway and Switzerland. Australia launched DAB+ in 2009, beginning in the five biggest cities. Other countries are expanding their DAB broadcasts. In a few countries, DAB has stalled or even failed. Canada's largest broadcaster, CBC, has switched off all its DAB transmissions. In other countries where development stalled initially, the situation is now looking more promising. Germany is in the process of "relaunching" DAB. Both sets of results, those where DAB succeeded and those where it failed, lead to the same inescapable conclusion. The public will not fork out for "the same, but digital". New services with attractive content, delivered by a robust transmission chain of adequate signal strength are the vital twin keys to digital success. While all DAB+ and DMB receivers will receive the original DAB broadcasts, a basic "original-flavour" DAB receiver will receive neither DAB+ nor DMB, and a DAB+ receiver will not necessarily receive DMB. That's why THIS website was created. Originally called the World DAB Forum, WorldDMB is an international non-governmental body, whose membership comprises broadcasters, transmissions providers, transmission equipment manufacturers and receiver manufacturers. Its role is to be the custodian of the DAB specification and to take care of its promotion and further development. Now in its tenth year, Wohnort started out when the editor bought his first DAB receiver, the gorgeous Arcam Alpha 10, and started looking around the web for a single source of information about all DAB broadcasts everywhere. There wasn't one, apart from the official WorldDAB site, and so the Wohnort website was born. Cumbersomely named "DAB Ensembles Worldwide" the site was quickly noticed by industry insiders and enthusiasts and gradually became known simply as "Wohnort", a trend Wohnort did nothing to discourage. Unlike official sources, which have a tendency to reflect aspiration rather than grim reality, Wohnort's information has the advantage of being based mostly on direct observation, whether by Wohnort or by contributors. As it nears its tenth anniversary, Wohnort is now the most complete picture of DAB broadcasting around the world. The sheer number of DAB transmissions is now threatening the viability of Wohnort. If your company would like to contribute to the maintenance of this site and help to safeguard its future, please contact us. While DAB was designed to be used in Band III and L-band, DRM was created by a consortium that included many of the backers of DAB and is designed to make use of the long-, medium- and short-wave frequencies up to about 30 MHz. DRM is thus ideal for international broadcasting and for domestic broadcasting where large swathes of territory can be covered by DRM in a way that would be impractical for DAB. DRM+ is a recent development of DRM and intended to make use of the frequencies between DRM and DAB, from 30 MHz upwards and including Bands I and II. 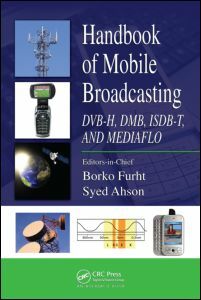 In a world where Band II was no longer required for FM broadcasting, one could forsee that DRM+ might be ideal for community stations covering small areas, for example within a city, or for covering larger areas of sparsely populated territory at high power, where operating a full DAB multiplex might be impractical. There are currently NO DRM+ receivers on sale. Existing DRM receivers will not receive DRM+ broadcasts. The DRM Consortium is an international non-governmental organisation with an office in Geneva. Its members comprise broadcasters, transmission providers, transmitting equipment manufacturers and receiver manufacturers. 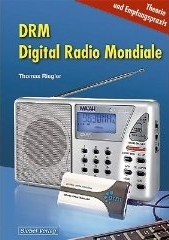 There is co-operation between the DRM Consortium and WorldDAB who view each other's systems as complimentary. FMeXtra was developed by Digital Radio Express, now VuCast Media. Unlike HD Radio, which broadcasts on additional side-bands, FMeXtra makes use of subcarriers and is therefore fully compatible with existing transmission plant. FMeXtra can even be used in conjunction with HD Radio operating in hybrid mode, but not where HD Radio uses full digital mode. The audio codec is MPEG-4 aacPlus with Spectral Band Replication and Parametric Stereo. Broadcasting in FMeXtra is virtually non-existant, with only a handful of stations using the system in the United States and Benelux. There have been test transmissions in other countries. FMeXtra's own website lists only one consumer receiver, the Aruba Radio. This receiver is not generally available. "The HD in HD Radio technically has no meaning. It's part of a consumer brand name for AM/FM digital broadcasting, "HD Radio". Certain media have referred to it as High Definition. They equate HD Radio to superior enhanced performance for existing radio. As such, the superior quality you see and hear with HDTV is equated with the superior quality you will hear with AM/FM digital broadcasting. Technically though, there is no definition of the HD in HD Radio." 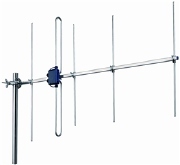 ISDB-T is a unified Japanese standard for television and multimedia broadcasting using the UHF bands. Each UHF channel is divided into 13 segments. The broadcaster is permitted the flexibility of choosing whether to broadcast a single high-definition service occupying 12 segments, three standard definition services occupying 4 segments each, or one medium-definition service of 8 segments and a standard-definition service of 4 segments. The remaining 13th segment is allocated to mobile applications. The term 1seg refers to this 13th segment and has become a powerful marketing name. 1seg devices are commonplace in Japan. 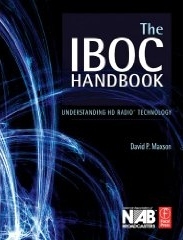 ISDB-TSB is a sub-set of ISDB-T is the official digital radio standard in Japan. The broadcasts currently taking place are officially test transmissions and are due to continue until July 2011. When a full official service begins, it is likely that these will use different frequencies from the current ones, and thus current receivers may not be compatible after that date. Deutschsprachiges Buch. 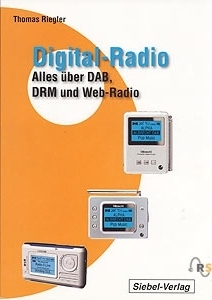 Beschreibung der Systeme DAB u. DRM, sowie IBOC und radio über DVB-T. I'd be grateful to receive updates and corrections.